Black Heart Umbrella - Umbrella Heaven, 1000+ umbrellas! This wonderful creation will look great with that new outfit. 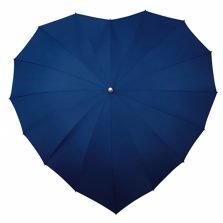 Now available in twelve gorgeous colours, the classic black Heart Umbrella is now here and ready to take part in your wardrobe! We have been selling our heart shaped umbrellas for years and even after all this time the ladies are still amazed when they see one for the first time. They are so much more than just an unusual shape, they are totally practical in every way. 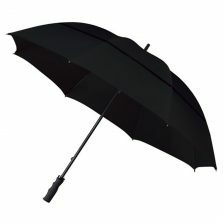 Featuring a lightweight fibreglass frame and strong aluminium shaft, this gem is totally windproof. 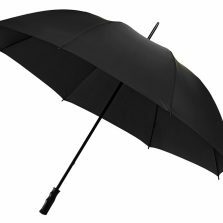 The 16 panel canopy of this black heart umbrella is lovely and large, so you benefit from the extra protection from the rain. As it’s a 16 panel umbrella you get 16 spokes, which is twice as many as a traditional design. It also means the frame is twice as strong! 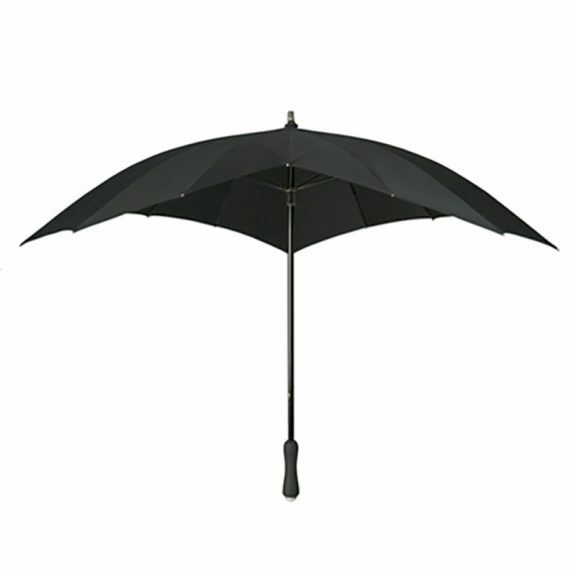 The frame and spokes of this black heart umbrella are fibreglass, which is strong, light and flexible.The heart design came out top in a wind and rain test on ITV’s This Morning, all the others failed. If it ever does get blown inside out, you can simply pull it back into shape, no problem. Try that with a metal frame! Stay sensational in a Storm! 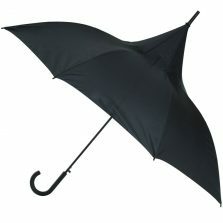 When it comes to fashion umbrellas, the Black Heart Umbrella is amongst the best on the market with its refined good looks. 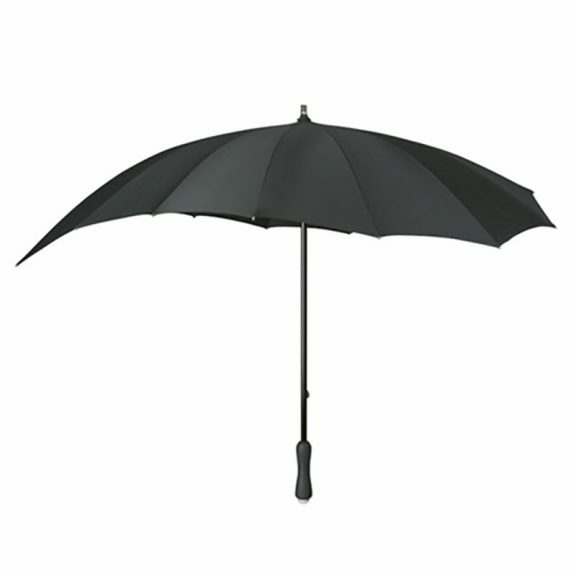 This classic black heart umbrella is about 88 cm long and has a colour coordinated, ergonomic black rubber handle for comfort, smart aluminium tip and matching handle-protector. Colours available include Purple, Red, Hot-Pink, White, Lime Green, Soft-Pink & Ivory. 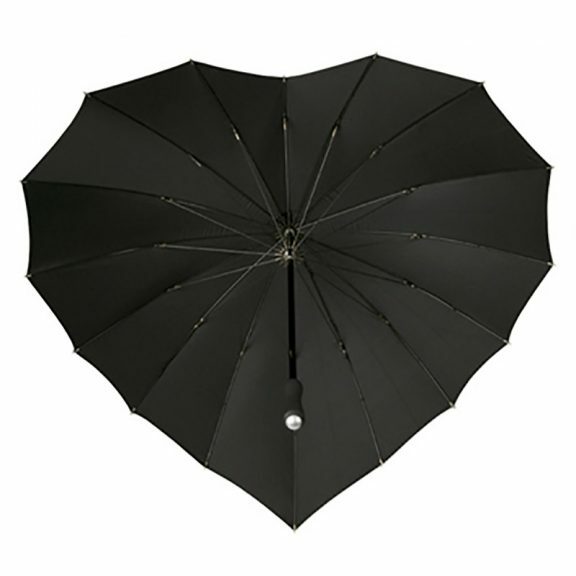 Designed to rival the best of the best – say hello to the wonderful Heart Umbrella. The canopy size is huge at 100 cm front to back and 110 cm wide. Please note: this is full length, not a compact ‘handbag’ parasol.